Super accesoire for your Stick Up Cam that can recharge it in a very short space of time! The perfect assecoire for your Stick Up Cam, with just a few hours of sunlight, your Stick Up Cam is fully charged! The Solar Panel of Ring is a small but very attractive solar panel. 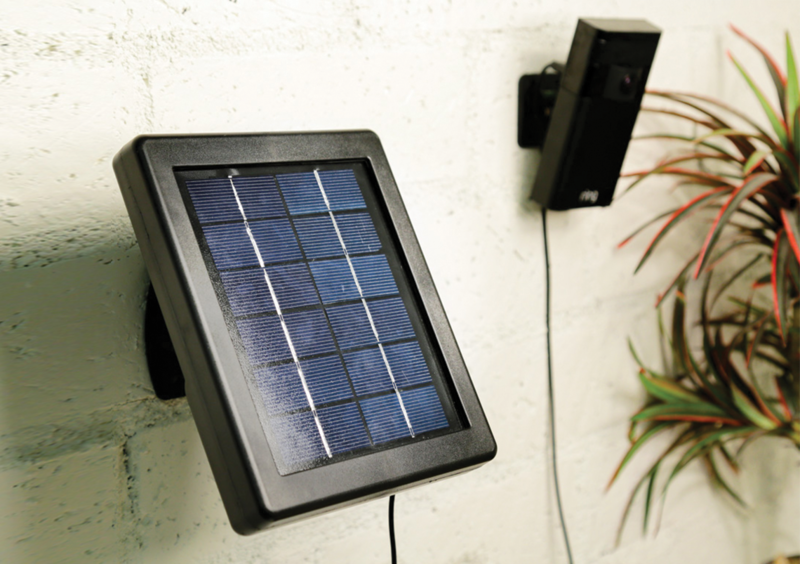 This Solar Panel is specially designed to provide power to the Stick Up Cam of Ring. With just a few hours of bright sunlight, the Stick Up Cam will be fully charged. He is weatherproof and so can be sure to resist a splash of water! The suspension bracket is adjustable for optimal sun exposure. The quick and easy installation enables you to use the Solar Panel within a few minutes.